Yash Computech Solutions (YCS) offers an aggregate end-to-end E-trade Solution for organizations and firms looking to dispatch and keep up expert and viable retail nearness on the Internet. We have a wide exhibit of web based business arrangements accessible; and on account of its incomprehensible choice of abilities, it can be utilized to fabricate each store possible, from a little boutique to a whole online shopping center. 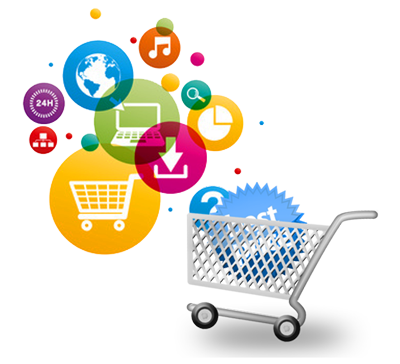 YASH COMPUTECH SOLUTIONS employ Best Magento Developers who give best App Development in India and in addition crosswise over world. Yash Computech Solutions (YCS) gives E-trade Solutions in zone like: Payment Gateway Integration, Secure Shopping Cart Solutions, Credit Card Processing Integration, E-Commerce development with Content Management System Solutions for your tweaked web applications. E-Commerce experts for B2C solutions are available to help e-commerce sites create unique boutiques that target specific customers as well as for your internal staff members. Yash Computech Solutions(YCS) create customer friendly application by providing live text chat, live video chat, Instant messengers application or at the very least, a phone number to your customers and get instantly connected. Yash Computech Solutions(YCS) focuses on making your site with an ease to use. B2C E-commerce solution at Yash Computech Solutions(YCS) has increased the focus on customer fulfillment and delivery fulfillment. Providing instant pleasure for customers still is not an easy task, but our successful B2C e-commerce operations are finding that fulfillment challenge can be eased with increased focus and investment in supply chain and logistical technologies. Push content, products and prices to affiliates, distributors, franchisees and satellite websites. Manage products across multiple websites with different branding and pricing strategies. Present content automatically based on a customers browsing device. For instant iPhone, mobile phones, iPods and net-books. Low customer acquisition cost B2B solutions at Yash Computech Solutions(YCS) provide you an opportunity to exchange with new customers. Since the buyers come to the exchange themselves; your cost of getting customers through this channel is relatively low in comparison to other conventional channels. You can even increase your visibility by advertising in the key places of the B2B exchange. Improve customer service B2B solutions at Yash Computech Solutions(YCS) provide ability to have constant interaction with your customers better. You can track the whole ordering process from payment to delivery and bring greater efficiency in customer service. The integrated functions of an exchange such as sales management, internal messaging service, and lead management help you managing your customer service process effectively. Efficient information sharing method B2B solutions at Yash Computech Solutions(YCS) provide you a chance to instantly update your catalog and inform customers about changes. Whether you are launching a new product or having a web seminar, through the B2B exchange you can share the information more efficiently. Some B2B Exchanges use sophisticated knowledge management systems to create, capture, reprocess and reutilize information intended for specific group of audience. These contents or information can be displayed on demand or in time to a member – when needed. © 2015 Yash Computech Solution. All Rights Reserved.